The National Council on Alcoholism and Drug Dependence estimates that in the United States more than half of all adults have a family history of alcoholism or problem drinking, and over seven million children live in a household where at least one parent has abused alcohol. 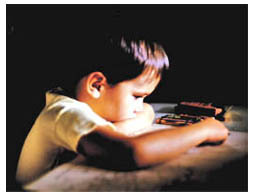 These ‘children of alcoholism’ frequently bear emotional scars. The imprint of a drunk parent—sometimes angry, sometimes neglectful—can run deep. And that childhood pain often gets played out later in adult relationships. In this episode, we hear powerful stories from four people in their teens and twenties, who were raised by alcoholics. Support groups for individuals affected by the drinking of others have operated in many communities for more than sixty years. Attendance is free at Al-Anon (for adults, it was established by a woman known as Lois W., whose husband founded AA), and at Alateen, its program for teenagers who’ve been raised in a home where alcoholism is present. Participants share their struggles, gain support from the experience and wisdom of others, and learn time-tested principles for how to handle this common problem. The stories of people in recovery from alcoholism, who had to work through denial and sometimes harsh consequences on the road to sobriety, which can present its own ongoing emotional challenges. Alcoholics Anonymous marks its beginning when one hopelessly addicted drunk realized that connecting with a fellow-sufferer would create a safe zone in which both could stop their downward spiral. In the second half, we examine the AA recovery principles that have promoted sobriety for millions of recovering alcoholics and have created a template to help people worldwide who struggle with many forms of addiction.